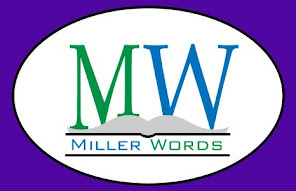 MillerWords author Flora Reigada continues our Friday series on unique writing habits. Flora is the author of the "How-To" devotional Where Your Heart Meets God's and the Christian-inspired romantic thriller Love's Sweetest Revenge. 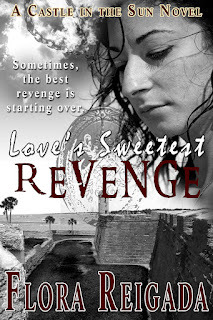 This thriller is the first book in her Castle in the Sun series. 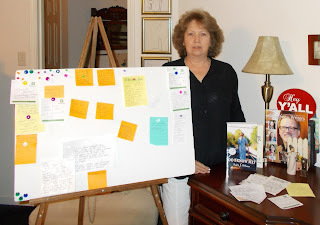 She is currently at work putting the finishing touches on book two. Sometimes I talk about the characters in my books as if they were real. I never knew how real, until the day my husband, Dan and I went to the local (VFW) Veterans of Foreign Wars post. As a reporter/photographer team for Senior Life newspaper in Brevard County, Florida, we were gathering information for a story about Memorial Day events. I couldn't resist telling the VFW members about Jack Martin, a fellow veteran. Jack exists, for me, in the pages of my book. He is one of the four central characters I brought to life. Others include Liz, an accomplished artist and Carlos, Jack's brother, an international linguist and Presidential aide. There is also Rosa. Don't let her pretty face and small size fool you. She's an expert markswoman. She is also Jack's love interest, as Liz is Carlos'. The guys at the VFW listened as I rambled on about Jack. Enlisting in the United States Army after high school, he served fifteen years and had risen to the rank of Master Sergeant. Now a civilian in his mid-thirties, he had served several tours of duty in Middle East hot spots. That's where the vehicle he was driving with fellow service members struck an IED. (Improvised Explosive Device) As the senior enlisted man and trained in first aid, Jack tended to the others' wounds. Securing a tourniquet around what was left of a young soldier's leg, he saved his life. In the aftermath of a suicide bombing, Jack had also comforted a 20 year-old soldier who bled out in his arms. 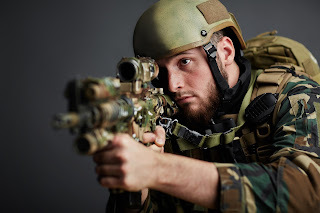 But Jack had been in kill or be killed situations and he had prevailed. Rosa is just tough enough for Jack, but tender enough too. She holds him when he awakens from nightmares about his troops being ambushed and blood on his hands. 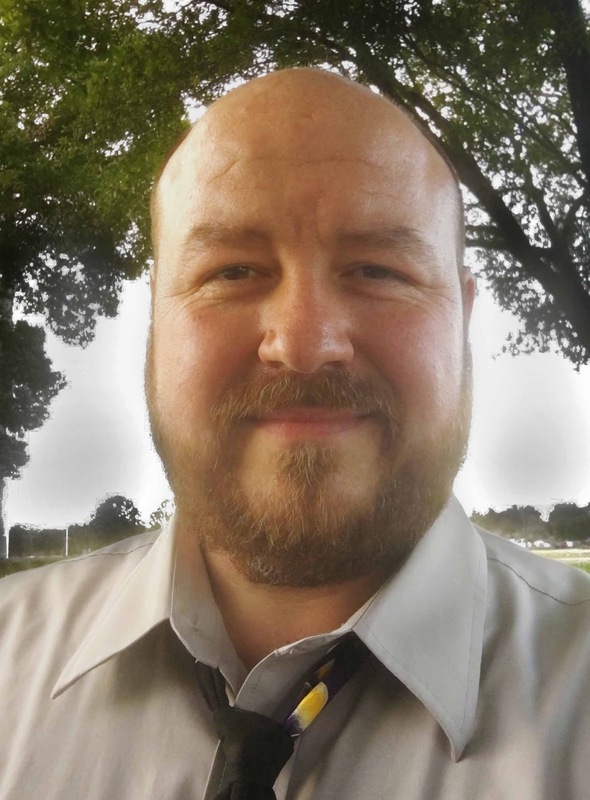 In addition to being a tall, handsome much-decorated veteran, Jack is a motorcycle enthusiast, a hardworking bartender and the fiercely protective father of a teenage daughter. He can fix or build just about anything. "We want to meet him," the VFW members told me. "Tell him to come here. We'll help him with his (PTSD) Post Traumatic Stress Disorder. We understand." My eyes widened in surprise. Without intending to do so, I had convinced them Jack was real. But in a sense, he is. More than in my story, we can see him in the faces of 540,000+ veterans whom Wounded Warrior Homes said have been diagnosed with PTSD. "Post Traumatic Stress Disorder can be described as a mental health condition that's triggered by a trauma, whether experiencing or seeing it. The symptoms include flashbacks, nightmares, severe anxiety, depression and confusion," the organization states on their website. The soldiers at the VFW wanted to meet Jack and I hope you will too—and the other characters as well, in the pages of Love's Sweetest Revenge. Love's Sweetest Revenge is available in all major eBook formats and paperback from MillerWords. 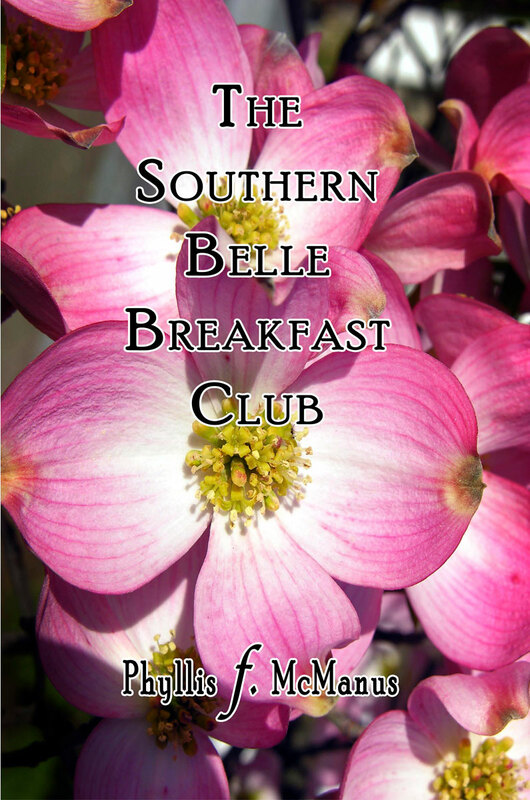 Stay tuned for our next guest post! A brand new 5 star review came in for Murray Pura's semi-autobiographical, award-winning novel. The Amazon reviewer is petting a tiger in his profile picture, so it seems like a good idea to listen to what he says. That is amazing! Review: Zo is one of the many inspiring historical fiction works by Canadian author Murray Pura. The two poems: “My destiny” by Taras Shevchenko and “The Moon” by poet Andrii Chornavka set the tone for the entire book. The story is set in the year 1911. The protagonist, Andrew Chornavka, is a monk. Interestingly, the author first introduces him as “Zoya’s brother.” Although the book is entirely written through Andrew Chornavka’s point of view, the book is about his sister Zoya. The book starts off in the United States of America as Andrew Chornavka is being questioned in a monastery by an officer. The animosity that Andrew Chornavka feels, during that enquiry, is unmistakable. The officer asks Andrew Chornavka a number of questions about his sister Zoya and the readers are taken on an adventure down memory lane. This book is unlike any usual historical fiction. With descriptive scenes and strong characters, it successfully holds the reader’s attention until the end. The book moves at a fast pace and every chapter leaves the reader wanting more. Strong characters and interesting plots leave the reader wanting more. The characters also show interesting contradictions. A good example is Andrew Chornavka’s character. Despite being a monk, he is described as someone who is “easily provoked to violence, sarcastic and spiteful.” Zoya’s character sketch is also equally captivating. Every chapter, without fail, excites and piques the curiosity and attention of the readers. What I loved most about this book was author Murray Pura’s writing style. It is very elegant and expressive, almost poetic. His words linger with you even after you have turned the page. Murray Pura tastefully and gracefully describes a tumultuous time not only in Zoya and Andrew Chornavka’s life but also for the rest of the world. With eloquent linguistics, the author accurately sets the tone and articulately recounts events and emotion. Most of the time, a good book comes down to three significant components - 1) a gripping plot, 2) Strong characters and 3) meaningful relationships between the characters. ‘Zo’ has an abundance of all these three components. This is one of those books that you won’t want to put down until you finish it. It is a book that makes you feel, and the feeling stays with you even after you finish reading it. You feel love when there is love and loss where there is loss and this feeling is guaranteed to resonate within you. 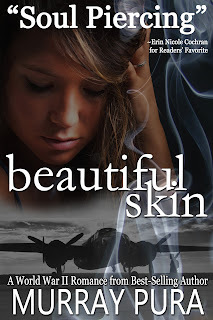 If you love historical fiction and stories about the Second World War period, this one story that you will get swept up into. ‘Zo’ by Murray Pura is the book for you. The relationships and plots are compelling; the storytelling is smooth and enlightening. ‘Zo’ will make you want to stay up late or stay in on a Saturday night just to read “one more chapter”. After reading ‘Zo’, I am definitely intrigued and interested to read other works by Murray Pura. ‘Zo’ is truly a great read and I promise you won’t regret it! Originally published in 2008, Murray Pura is reviving one of his personal favorites. 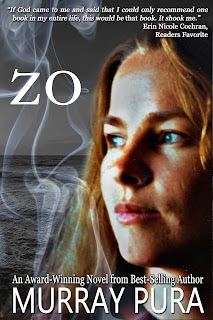 zo is the first story in Pura's series: Saint Zoya's Dance. This novel happened to be a finalist for the prestigious Kobzar Literary Award of Toronto in 2010. 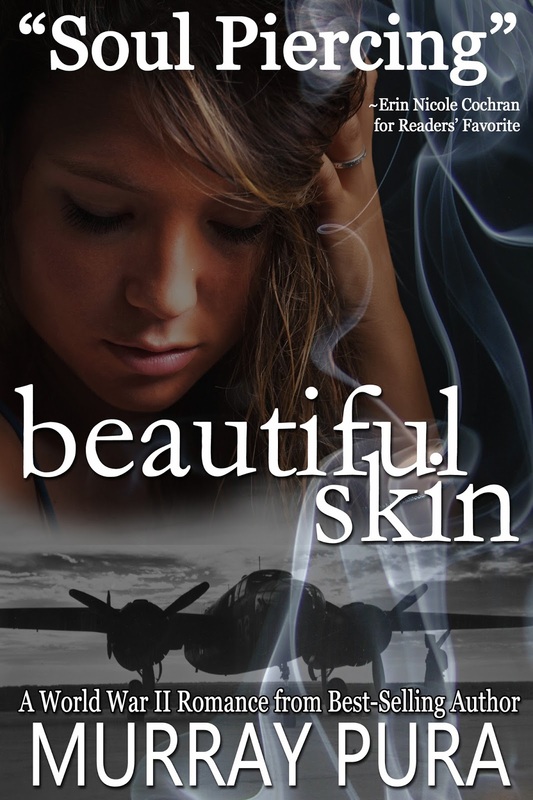 The series continues with the white birds of morning (coming soon to MillerWords) and beautiful skin. About the book: Andrew Chornavka took on the Trappist’s cowl and disappeared from the 21st century in order to forget the century before. Yet even at the secluded monastery in America the past finds him. A delegation from the Vatican arrives with questions about his youngest sister, Zoya, who is, to Andrew’s shock, a candidate for sainthood. Reluctant, hostile, wanting only to be left alone to his dairy herd and gardens and prayers, Andrew eventually begins to talk. The talk takes him where he does not wish to go, makes alive again what he had hoped was dead and buried, and makes real what had long ago been lost. He knows what he has to tell is no more than a story about a family that tried to stay together, and keep love strong, when everything on earth tried to rip that love apart. Yet he also knows the archbishop wants a story about an angel who walked with God. But Andrew did not experience a world of angels and miracles and fairy tales. And neither did his sister Zo. 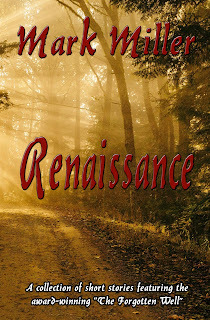 Readers' Favorite announces the review of the Fiction - Short Story/Novela book "Renaissance" by Mark Miller, currently available at http://www.amazon.com/gp/product/B077XFQ3VR. We all need rejuvenation at some point in our lives, something that will rekindle the thrill and passion we once had, and awaken us from our stupor, something that will set us on the right course again. Renaissance by Mark Miller is a collection of short stories about various characters living ordinary lives. Their lives at first seem to be just like any others until something happens that initiates the change they have been hoping to achieve. In one of the stories, Richard Thatcher remembers with nostalgia when things were easy; when all he cared about was playing in the mud with his friends who have now moved on with their lives. Looking back, he realizes how much life has changed. Everything seems to be a dazed rush. No stopping even for a breath of air. Pressure continues to mount on him. “Not anymore,” he finally decides, and walks out. The four stories contained in Renaissance by Mark Miller are all unique in their own way, but still drive the same theme. Each story inspired reawakening within me. It is easy to carry on through life and forget who we are or what we really want. As I read the book, I was reminded of what really matters and what my priorities should be. The Forgotten Well specifically reminded me of the blessing of life’s simplicity and how not to get bogged down by unnecessary complications. The stories contain an honest and inspiring outlook on life and will be a great read for anyone seeking inspiration." You can learn more about Mark Miller and "Renaissance" at https://readersfavorite.com/book-review/renaissance/1 where you can read reviews and the author’s biography, as well as connect with the author directly or through their website and social media pages. Readers' Favorite announces the review of the Christian - Amish book "Set Free" by George Michael Loughmueller, currently available at http://www.amazon.com/gp/product/B077XJ73KQ. Sometimes we need a retreat like Karsten Fields to get away from our stressful schedules and dependence on modern gadgets. The Howarth family had a culture shock when they moved into the deeply religious Amish town, where things are done the old-fashioned way. I have a deeper appreciation for the Amish religion. Some of their laws and teachings promote strong family values, non-violence and learning to respect others’ beliefs. The author was very thorough and detailed in his writing, which was never dull. He brought out every natural emotion and thought that the main characters had, thus enabling me to understand their actions and choices. 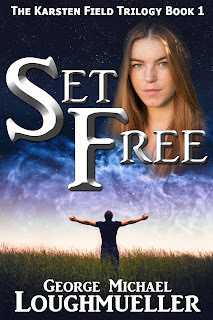 Set Free is a touching spiritual story by George Michael Loughmueller." 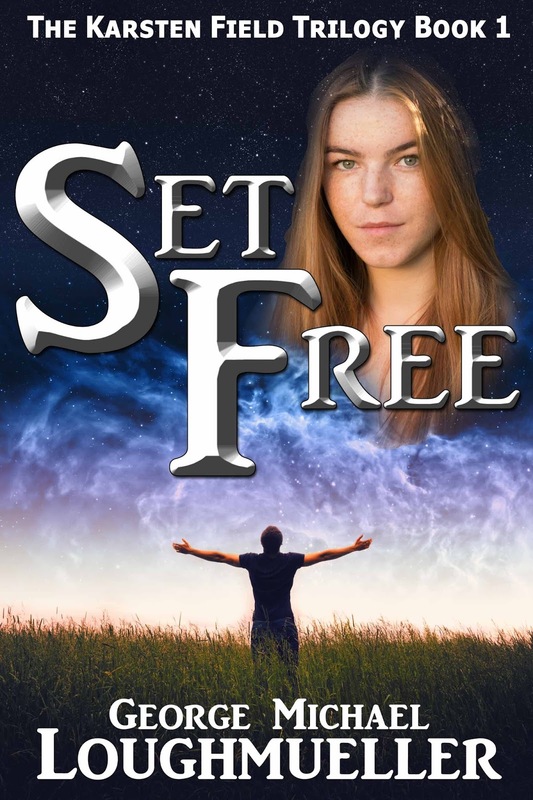 You can learn more about George Michael Loughmueller and "Set Free" at https://readersfavorite.com/book-review/set-free where you can read reviews and the author’s biography, as well as connect with the author directly or through their website and social media pages.